The candle light plugs into any standard outlet and includes a 7 watt C7 bulb that glows with a warm amber light. 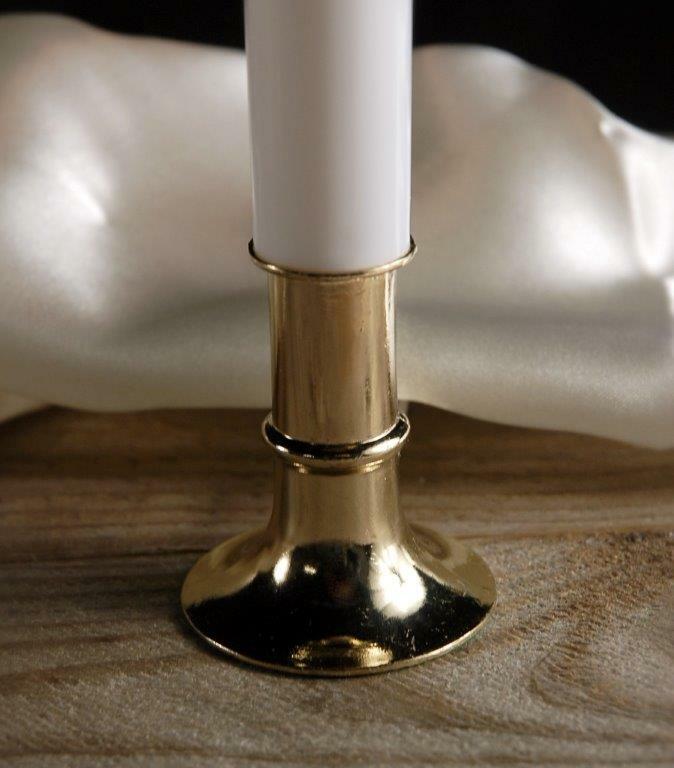 The base is plastic with an attractive brass finish. Overall the window candle stands 9" high with a 1.75" diameter base and has a 5' cord.